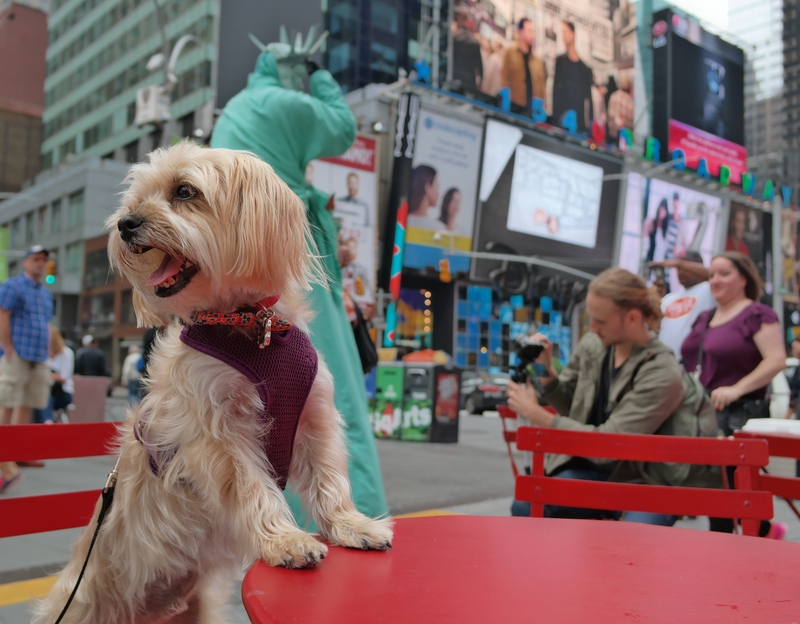 Rambo’s Trip to NYC: BarkFest, Dog Friendly Hotels, and More! i just got home from my trip to new york city! and holy moly, i’m POOPED. it was quite a lot for a little pup like me. i went to a ton of cool places and saw some really amazing stuff while i was there. 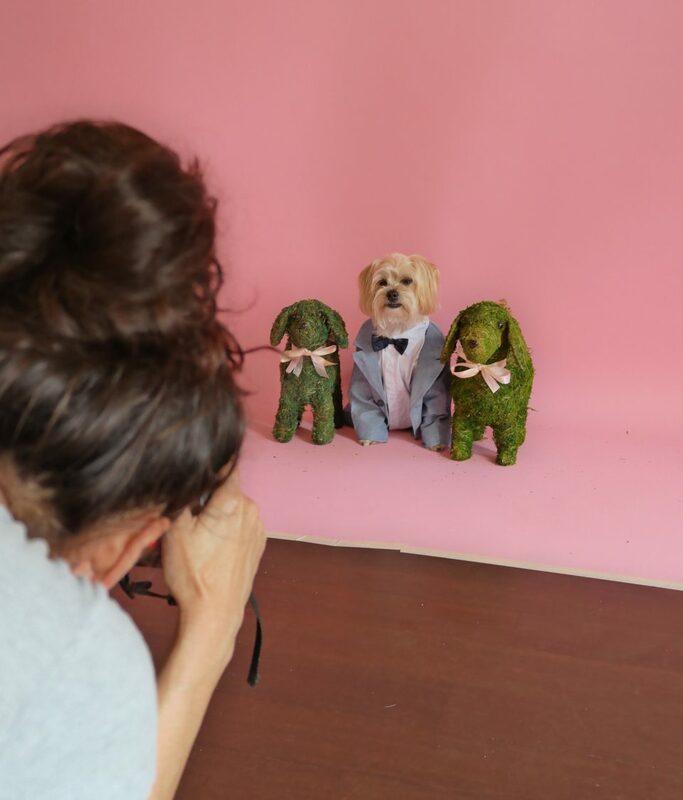 so today i’m sharing all the pawsome behind-the-scenes pics and details that i haven’t shared yet on my facebook page and instagram profile! We’ve been waiting here all day, when the heck is our plane going to get here? yay, we finally arrived! now please excuse me while i take a nap. when we arrived at the Gardens NYC i immediately flopped down onto the comfy, cozy dog bed they delivered to my room and took a long nap. 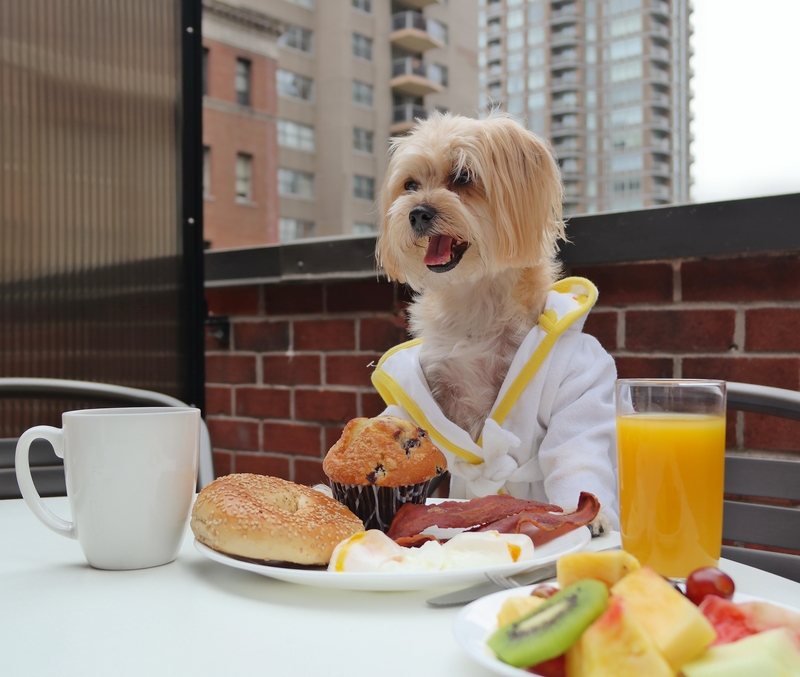 i had a dream that i was staying in a HUGE hotel room in a big, big city that had a kitchen, living room and outdoor terrace, and that the nice humans at the front desk had delivered a bed, treats, and toys just for me to my room. …and found out it wasn’t a dream at all! 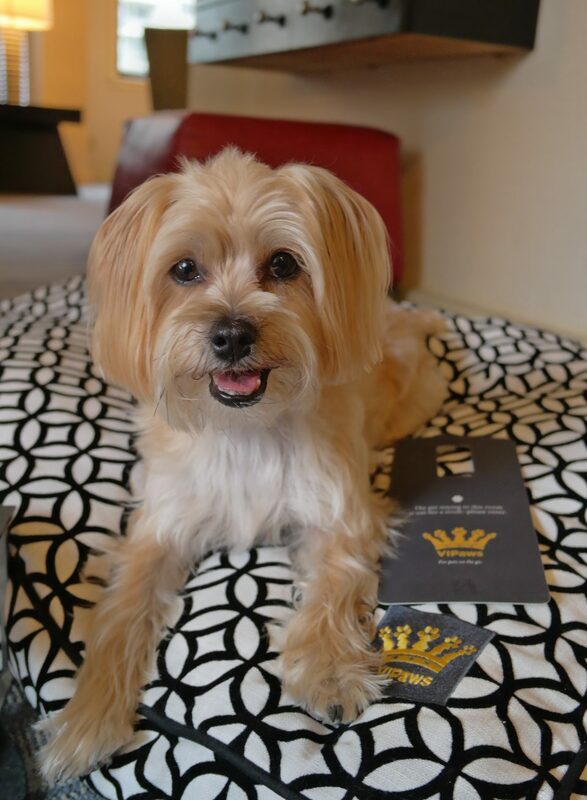 in addition to giving me a free stay in exchange for sponsored posts on my facebook page and instagram profile, they treated me like mother puppin’ ROYALTY! i honestly have no idea why i ever agreed to go home after our trip. i should have just stayed there so i could get pampered every day. #WhatWasIThinking…!? 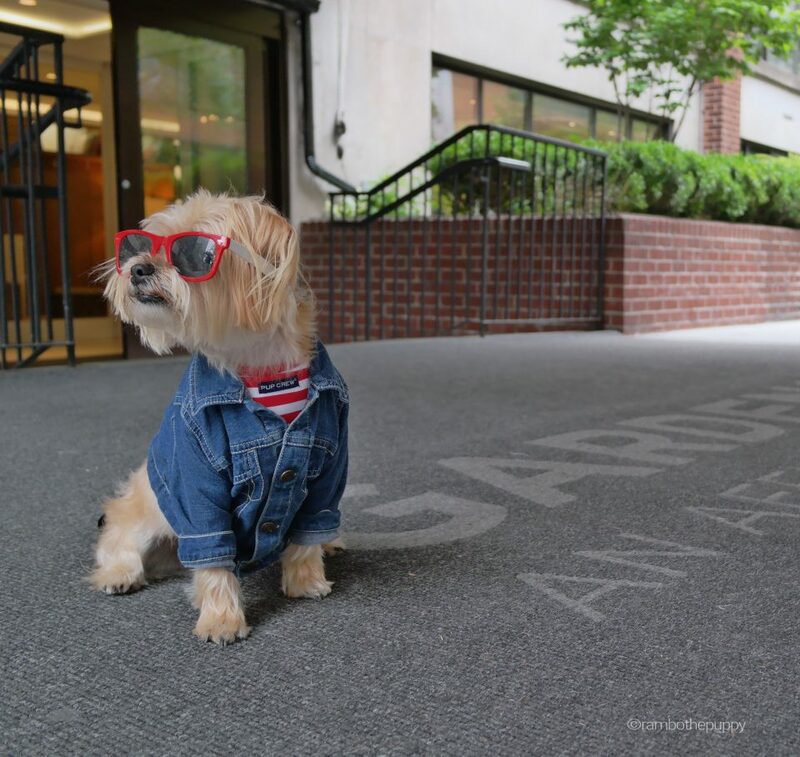 this month, Affinia is celebrating national pet month by giving you 10% off your pawsome stay and hosting a photo contest! 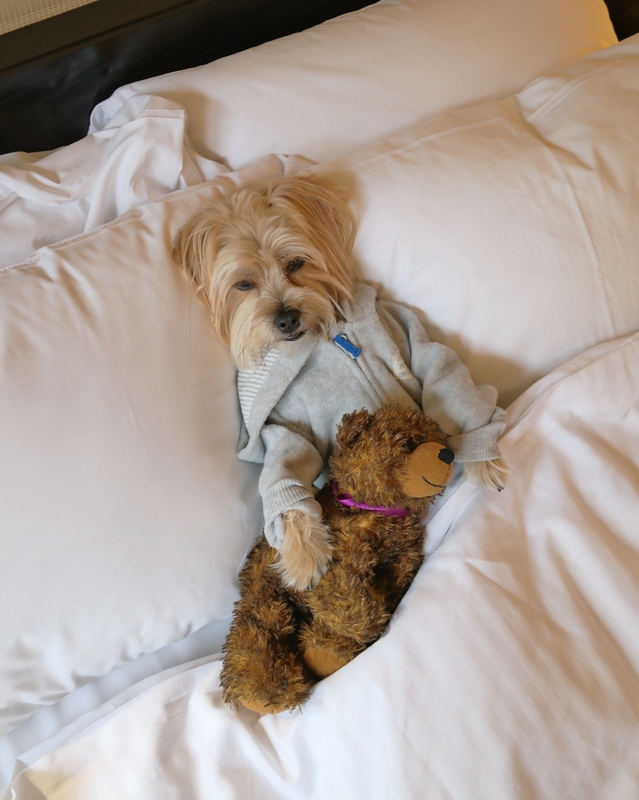 enter to win a free 2-night stay at any of their dog friendly hotels with your pet by posting a picture showing how you pamper your pet to facebook, twitter or instagram with the hashtag #VIPampered. learn more here! 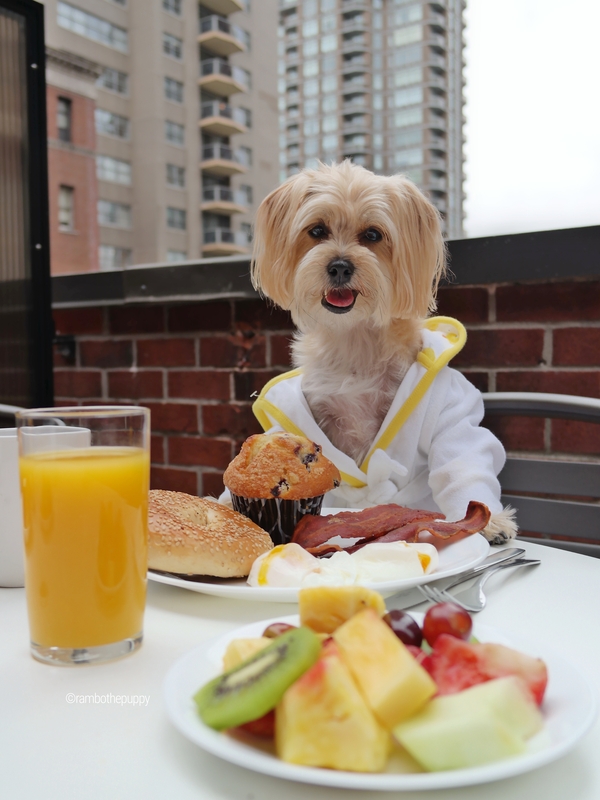 fact: there’s nothing better than waking up to room service. and belly rubs. 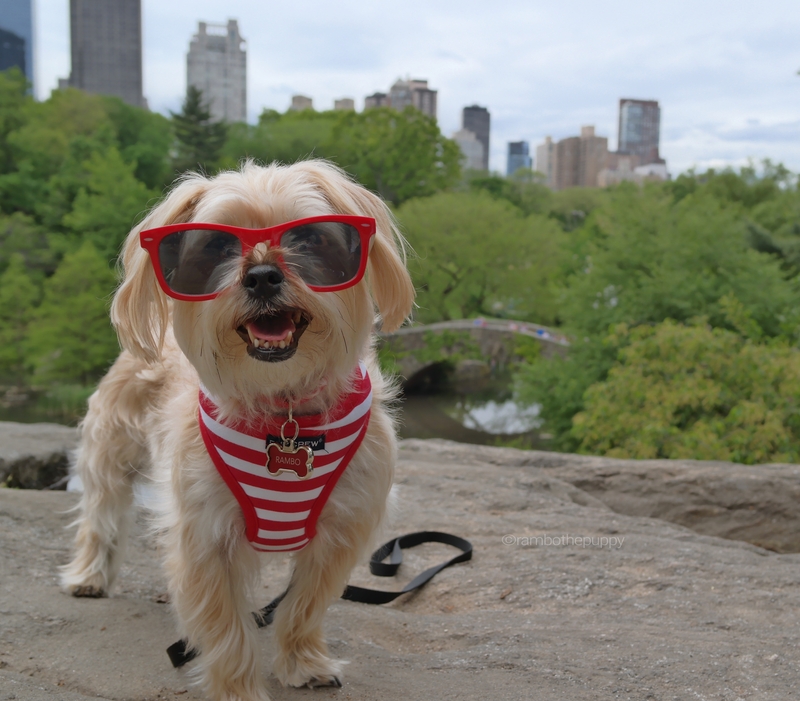 which way to central park? 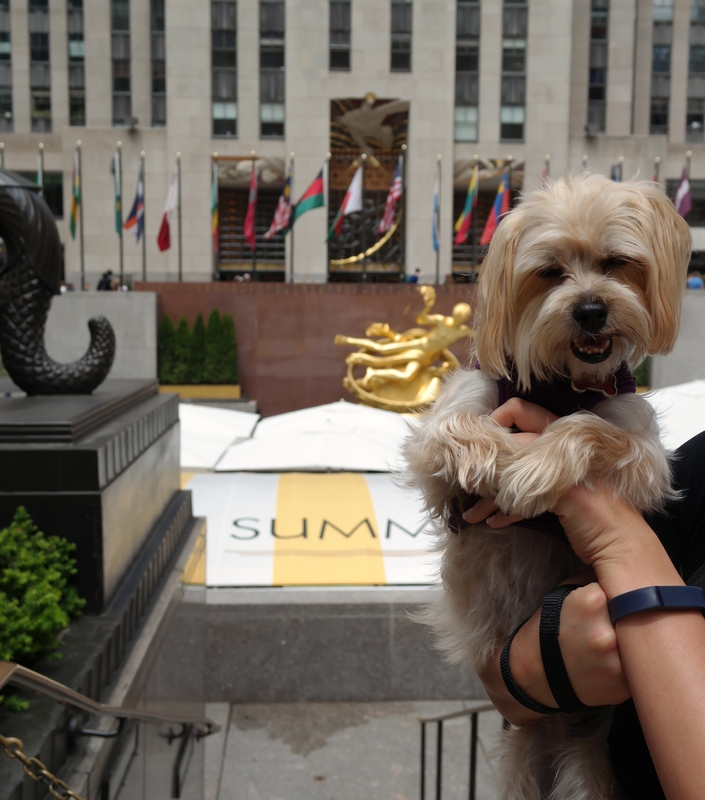 i took some time to get to know the city, which included a few trips to central park to tinkle on trees and smell dog bums (i mean, it’s not an easy job, but someone’s gotta do it!). craving chick-fil-a? must be sunday. 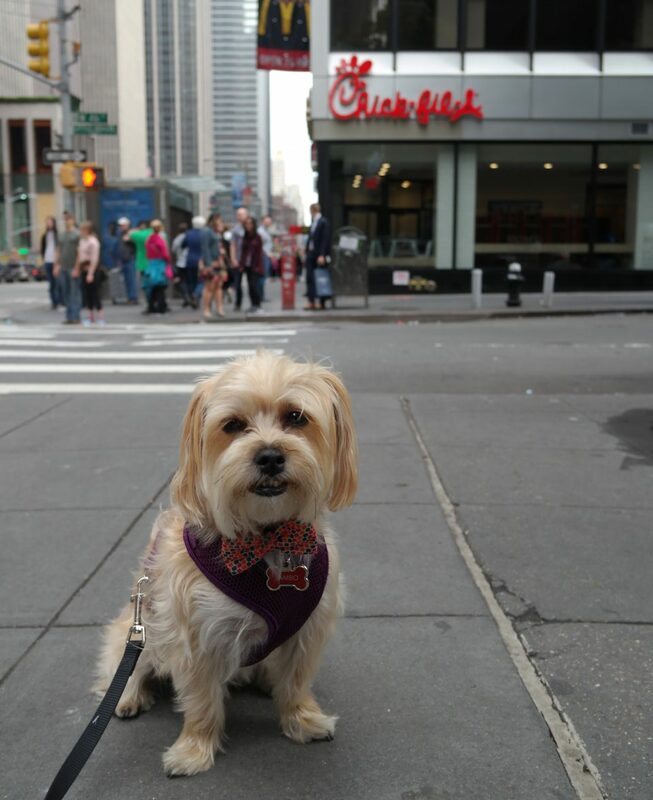 on sunday, i had a hankering for chick-fil-a. figures. since they’re not open on sundays. can you tell from this picture how disappointed i was to find that out? the human calls this look “drop ears rams,” because i hang my ears really low in an attempt to look really, really pitiful. meet up with @chloekardoggian and some sweet senior pups. 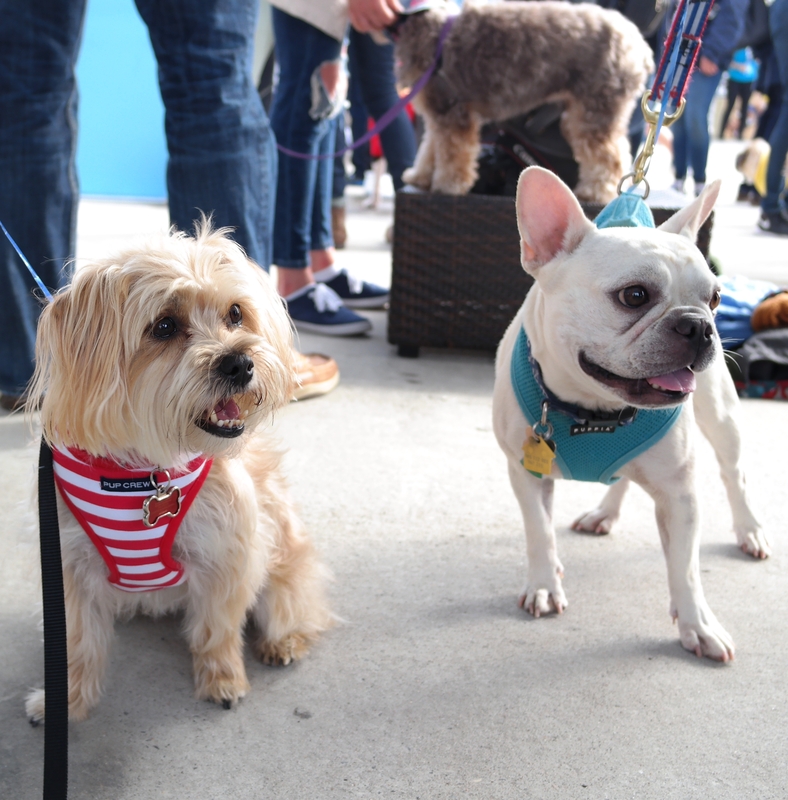 i had a chance to meet up with chloe kardoggian at an event she hosted with dog & co and susie’s senior dogs. it was awesome! i even made a new super fluffy friend named agador. times square was cool…and kinda *really* loud. i paid a visit to times square, which was pretty overwhelming for a little pup like me. 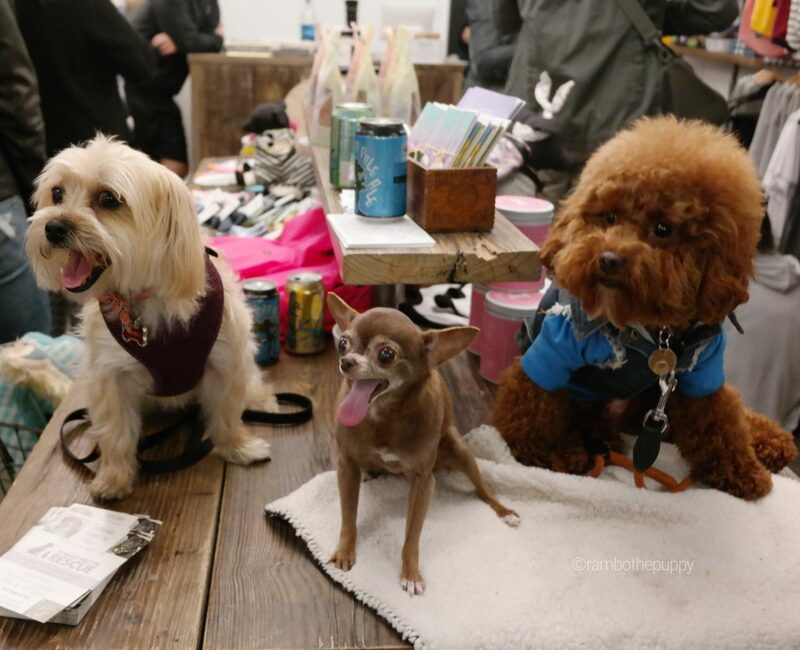 partying with all the pups at barkfest nyc! 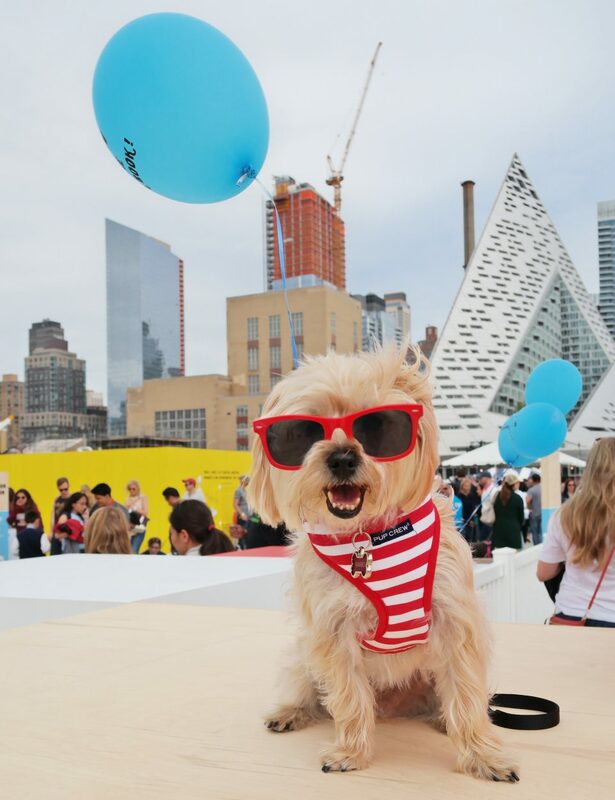 on sunday i hit up barkfest nyc, a dog festival hosted by barkbox. 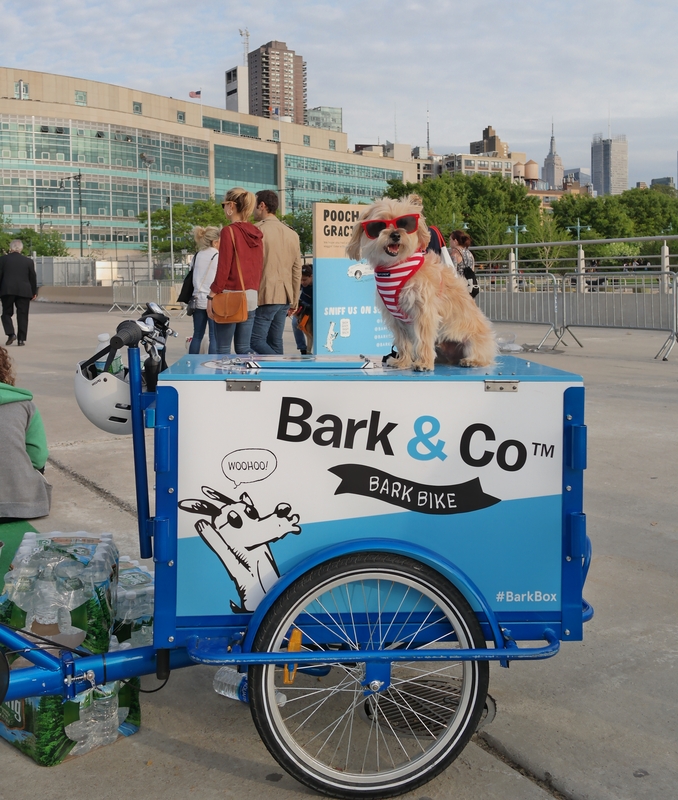 the event was at pier 97, which is on the water. there were SO. MANY. 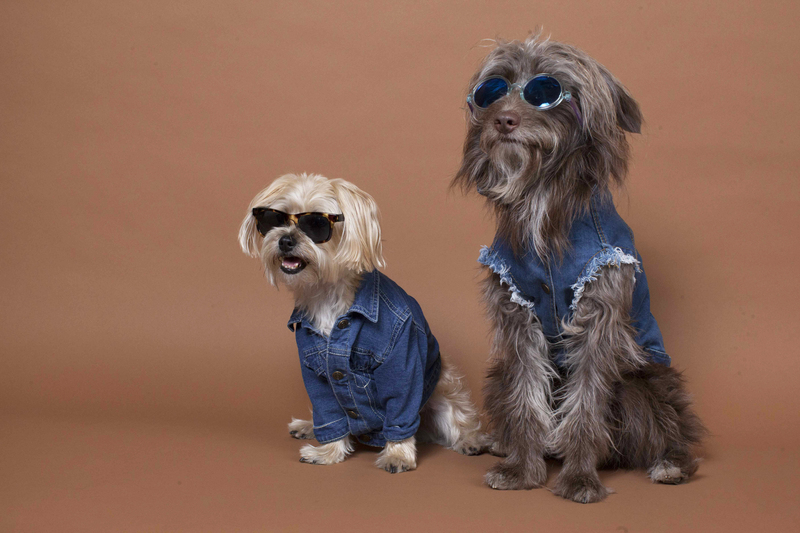 DOGS. THERE. i literally have never seen so many dogs and their doting owners in one place in my life. i reached a new level of “tired” after barkfest. 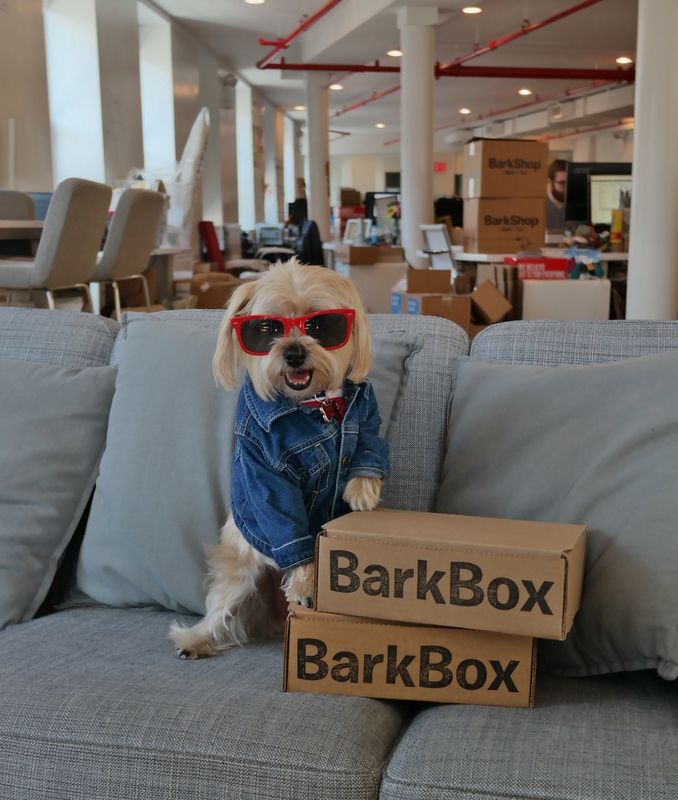 barkbox invited me to come hang out at their headquarters in chinatown, so of COURSE i had to go. 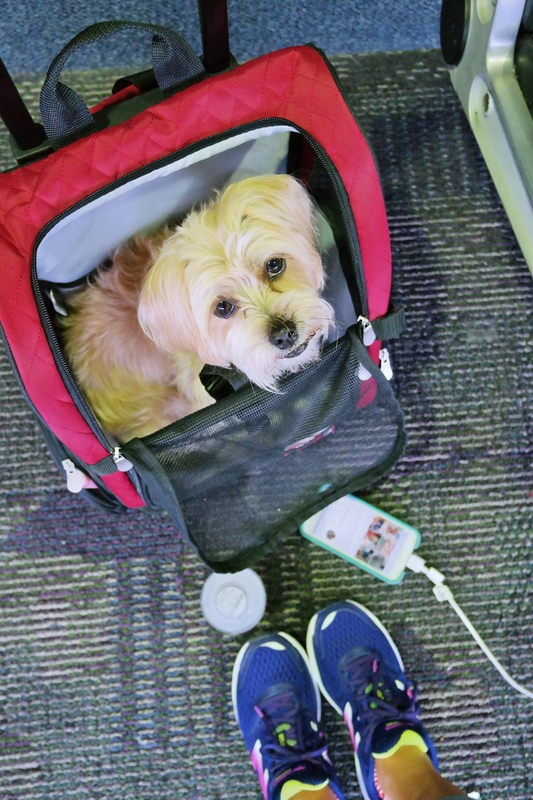 there’s nothing i love more than disrupting humans when they are working on their computers, getting tons of belly rubs, and sneaking treats under the desk from as many people as possible. 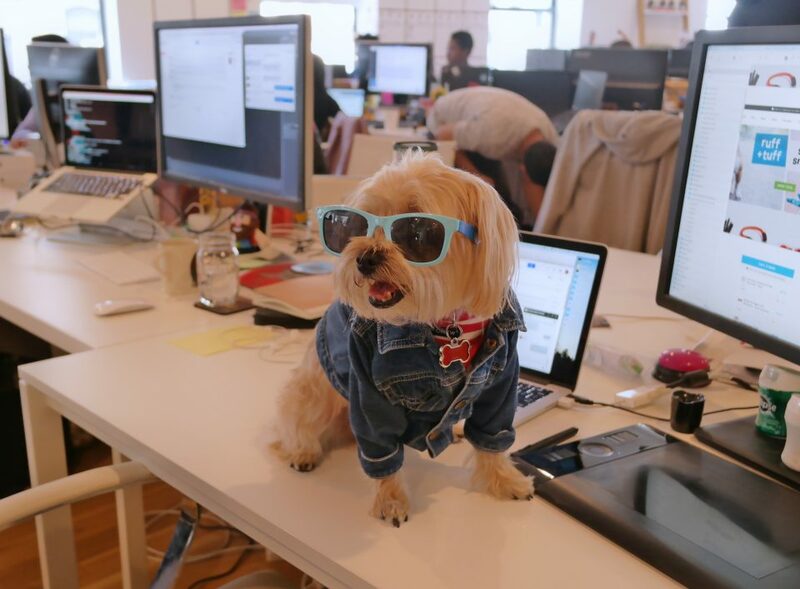 i’m pretty sure they promoted me to vp of treats and toys while i was there, and i didn’t even have an interview! Photo shoot with the dog styler! 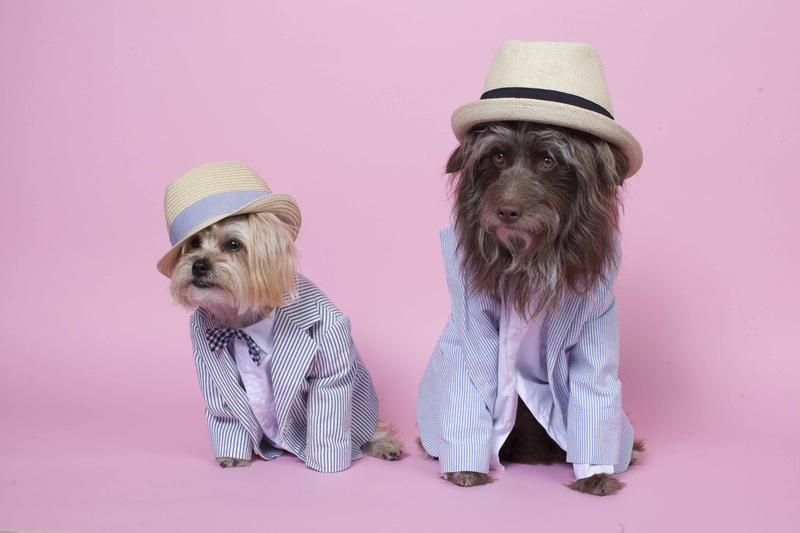 and last but absolutely 100% not least, i paid a visit to the dog styler, a fancy schmancy fashion photographer based in brooklyn who takes amazing photos of dogs dressed up in aaaahhhh-maaazing outfits! i got to hang out and dress up with her pup rosenburg. we were instant best friends – but i guess that’s what dressing up in human clothes and posing for the camera will do to ya’. all in all, i had a great trip, even if i’m exxxhhhhauuusted and will probably have to sleep like a week to get my energy back. but you know what? it was totally worth it! plus the human completely forgot i was supposed to be on a diet this weekend and fed me a ton of delicious treats and snacks and i probably gained like 3lbs of fluff. #yaaas! Rambo’s Cinco de Mayo Dog Party BLOOPERS! Cinco de Mayo 2017 Bloopers! This looks like the best trip ever Rambo. Lots of things to see, new friends to be made and the pampering ….you deserved it. So happy that you and your human had a great time. But now that your trip is over, I bet you are glad to be back home, because we all know, “There is no place like home”. 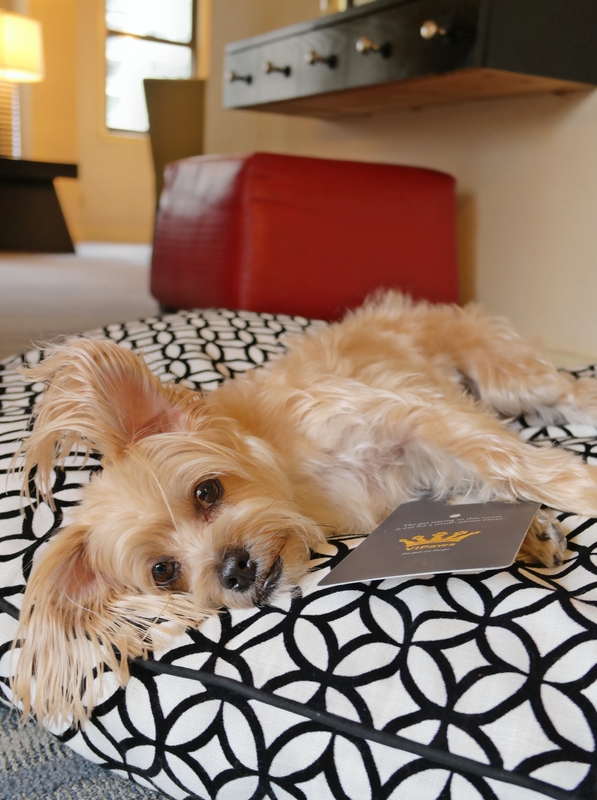 Loved this blog Rambo and you packed a lot of fun into you trip and were treated like a king! Beautiful weather too! Wow! What an excellent trip, Rams! You got the gold star treatment, that’s for sure and you deserve it! Love all the cute photos and glad your human kept you safe, as if there were any doubt there! She is a wonderful lady! Thanks for sharing your trip with us!!!! thanks laura! i’m so glad you liked my pics 🙂 i was certainly a spoiled pup on this trip, that’s for sure! glad you liked my pics jan! OMG looks like you had a blast!!! And love, love, love the pics of you with the fashion photographer. 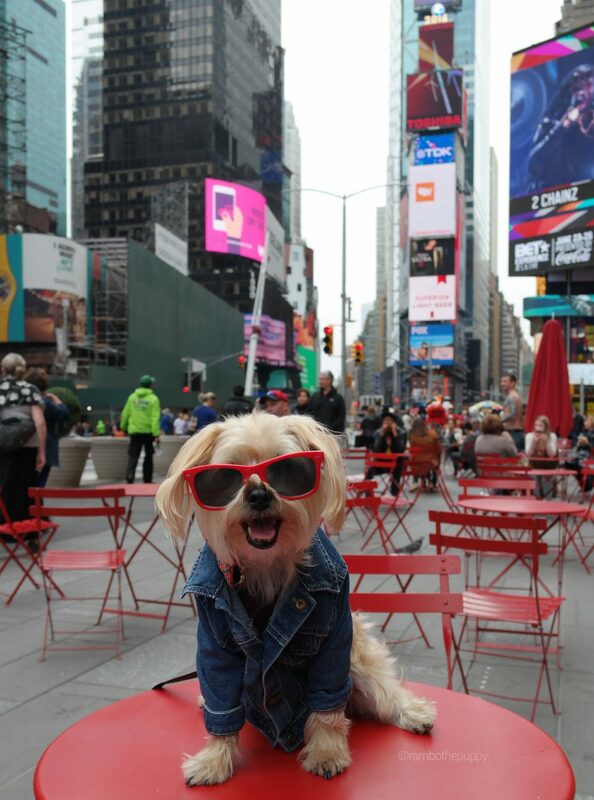 You SO rocked the jean jacket And shades look. Has to be my favorite of you. Thanks for showing off All your pics!!! 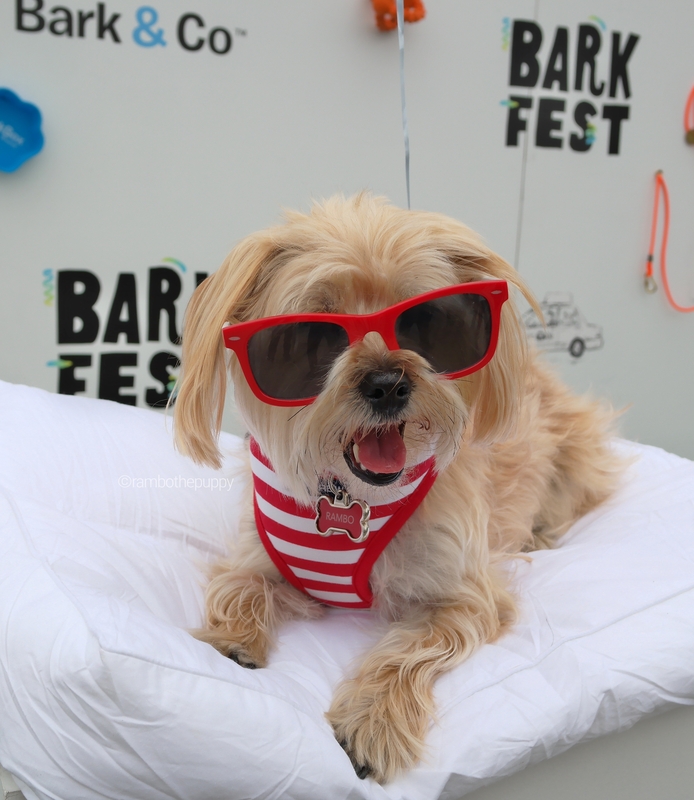 I bet you were the hit of Barkfest!!! thanks miss sue! i’m so glad you liked my pics. the trip was a blast! Ooooooh, such great pix! 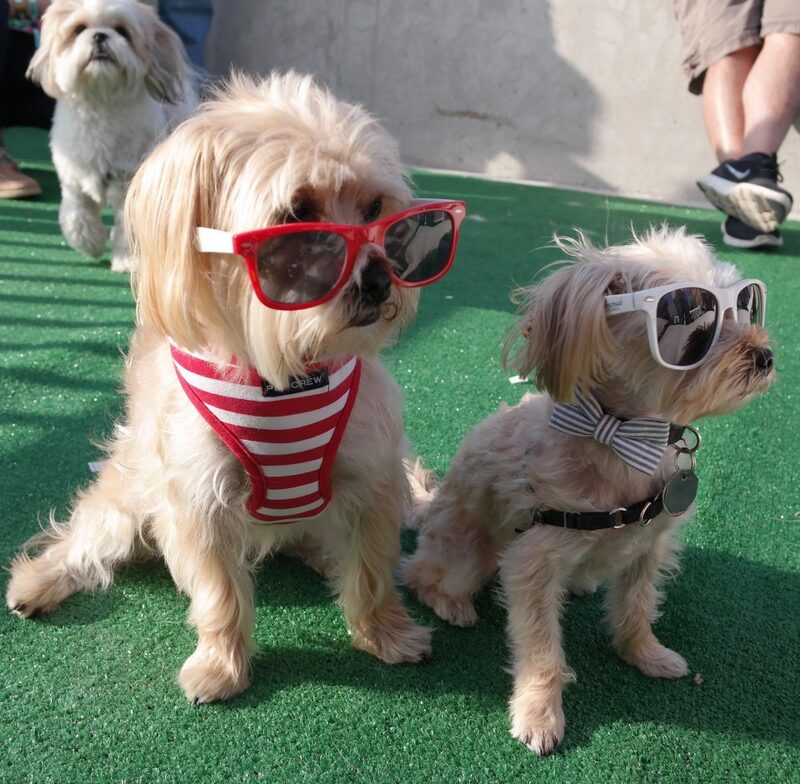 thanx for sharing them lil lumpi fluffi! u look amazing in all those cute outfits, and such is the life of a movie star, hm? Yep, I guess getting spoiled can be exhausting, hm? I hope ur human got a little spoiled as well? looks like u ate her food, hahaha?